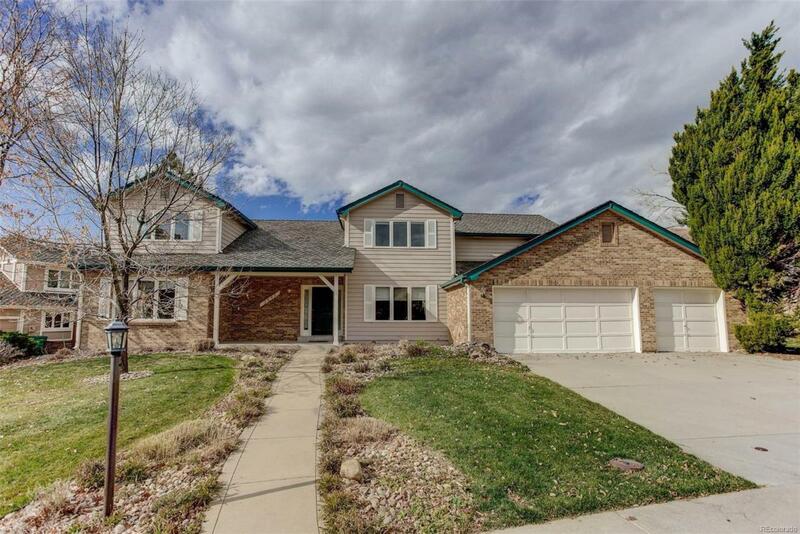 You will enjoy all the space and privacy offered by this large 5 bed, 5 bath home situated on a + acre cul-de-sac lot in highly sought after Piney Creek neighborhood. The vaulted ceilings and open floor plan make the main floor light and bright. You will appreciate the updated kitchen which features both a dining nook and breakfast bar while the formal dining room is perfect for larger gatherings. Upstairs, the master bedroom suite with luxurious 5-piece bath and his & hers walk-in closets has no common walls with any of the other 3 upstairs bedrooms, providing privacy to its occupants. The rec/media/game room, 5th bedroom and bath in the finished basement offer great options for an in-law, nanny, teen, or guest suite. The generously sized covered patio and open deck with gas valve for your gas grill in the fenced yard will allow for hours of outdoor enjoyment. Access to Cherry Creek schools and the Piney Creek Rec Centers make this the prefect home. Make it yours today!